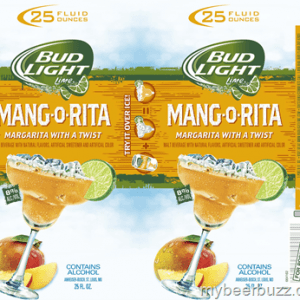 The mango flavored Mang-O-Rita is one of the permanent flavors of Bud Light’s Rita franchise, which was released after its flagship flavor, the Lime-A-Rita. Since the first launch in 2012, Bud Light’s margarita-inspired beverages were considered to be one of the biggest success stories in the beer industry. In fact, the sales of Anheuser Busch’s Bud Light Ritas can show how successful they are. Just a year after the Lime-A-Rita was launched, the sales hit more than $460 million, which show an increase of $150 million from 2012’s sales. The data were from a Chicago market research company called the IRI. Below are the latest Bud Light Mang-O-Rita prices. Although the drinks are marketed as a margarita with a twist, it does not contain any tequila, which is a standard ingredient in margaritas. The alcohol content of the Mang-O-Rita solely comes from the base alcohol, which is beer. According to the manufacturer, the Mang-O-Rita, as well as the other Rita flavors, are “carefully brewed with a combination of barley malt, non-malted cereal grains, and subtle hopping before they undergo special filtration”. After this process, the filtered ingredients are blended with Bud Light Lime as well as other ingredients to come up with the refreshing and delicious margarita and fruity flavor. Safe to say, the Mang-O-Rita is a beer cocktail which seems to be more appealing to women. As a matter of fact, 65% of those who drink any of the Rita flavors are females. But, there are also men who like drinking the margarita flavored beers of Bud Light simply because they are refreshing and provide something new and exciting to the palate. The Mang-O-Rita is also not something to be taken lightly because it contains more alcohol than the standard beers that people usually buy. It has 8% alcohol by volume so drinking in moderation is still recommended. An 8 ounce can of Mang-O-Rita contains 195 calories, 22.8 carbs, and 0 grams fat. You can enjoy an ice cold Bud Light Mang-O-Rita straight from the can or in a glass over ice. But, why stop there when there are more ways that you can enjoy this margarita flavored drink? 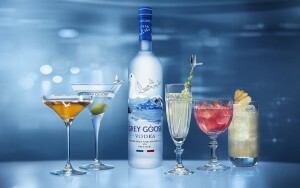 Below are some of the mixed drinks that you can try. Put some ice in a tall glass or a mason jar and add a dash of lemon juice. Pour iced tea until the glass is half full and fill the other half with the Mang-O-Rita. Give it a quick stir and garnish with a lemon wheel before serving. Combine all the ingredients in a large pitcher or punch bowl. Mix everything well and refrigerate for at least an hour. It is best served chilled, so the longer it stays in the fridge, the better. You can also pour it over ice. In a tall glass with ice, pour the orange juice and the vanilla extract. Mix well. Pour the Mang-O-Rita until the glass is almost full. Give it a quick stir and garnish with an orange wheel before serving. Pour the pineapple juice in a highball glass or tall glass with ice. Then, pour Bud Light Mang-O-Rita, using up about 4 to 6 ounces, or until the glass is almost full. Finish it off with a dash of grenadine. Garnish the glass with an orange wheel and pop in a maraschino cherry before serving. 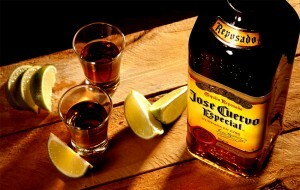 Is Jose Cuervo Worth a Shot?